Where Can I Find My Bing Ads UET Conversion Pixel? You will need your Bing Ads UET Conversion Pixel to accurately track how well your Bing ads are performing. 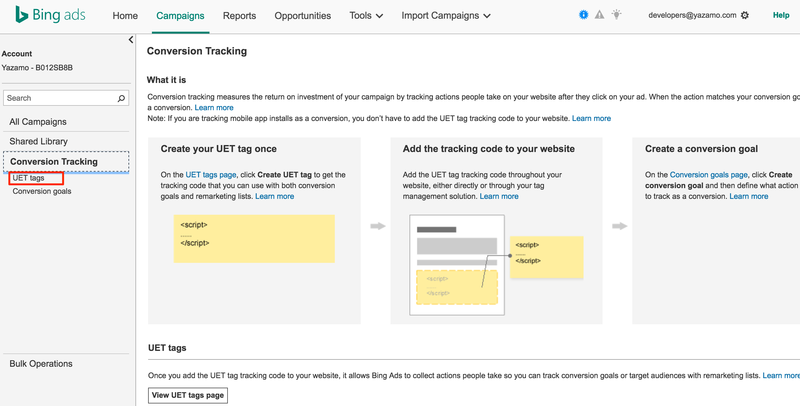 To find your Bing Ads UET Conversion Pixel follow the steps below. 1. Navigate to your Bing ads account by going to this link: https://bingads.microsoft.com/ and login to your Bing Ads Account. 2. Navigate to "Conversion Tracking" on the lefthand side. 3. Click to "UET tags" on the lefthand side. 4. 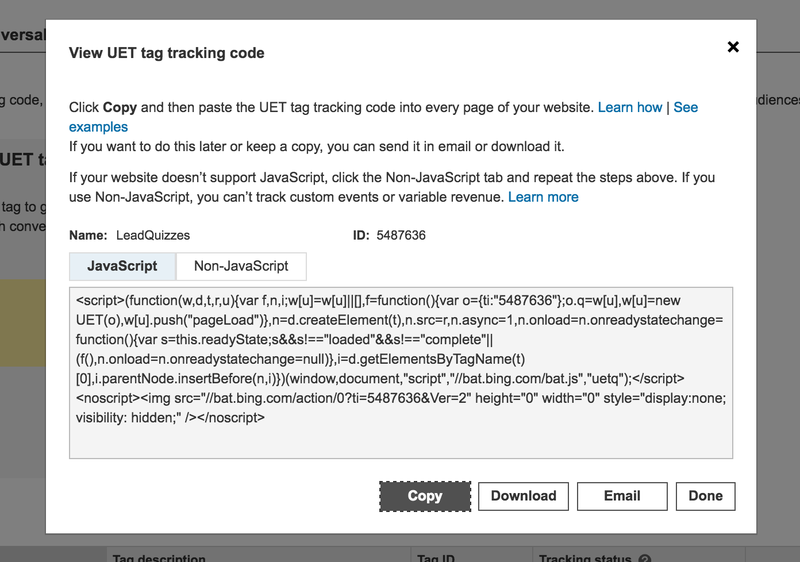 If you already have a tag created click "View tag", if not click "Create UET Tag" and follow the steps. 6. Paste the code into LeadQuizzes.